It can be difficult to know what to do when your pet becomes injured. Depending on the time of year, there are different risks associated with both indoor and outdoor pets, which is when seasonal pet tips from your South Coast veterinarian can really come in handy. Be warned: if your pet has been injured in any way, it could be scared, confused and in pain, making them more likely to scratch or bite in their panic. Be calm and make sure to protect both yourself and your pet in this situation to prevent other issues or injuries from occurring. If your pet is injured, it is important to understand that even the sweetest, most gentle pet will bite or scratch if they are scared, in pain or in panic mode. This type of situation is very unpredictable and can be very dangerous if you are not alert to the potential dangers. You may feel the need to comfort your pet, but hugging or embracing a pet in pain may scare them or inflict more pain on them. Anxiety issues in dogs can only compound the intensity of the situation. If your pet is not vomiting or choking, place a muzzle on them to reduce the chances for injury to you both. If you do not have an actual muzzle, a makeshift muzzle can be made with gauze rolls, towels or stockings. Learn how to do a proper muzzle ahead of time so you will know what to do in an emergency. Call the Dartmouth animal hospital ahead of time before you bring your pet in for treatment so they will be ready in advance to help meet your pet’s needs more effectively. Anchor Animal Hospital offers a wide variety of emergency veterinary services and is open 7 days a week to provide urgent care and treatments for your pet. For emergency care services after normal hours, we work with a couple of local 24-hour facilities in the area that can take care of your pet. Follow-up appointments can be made with your South Coast veterinarian after emergency treatment is provided. Small animals, such as cats, young dogs, small breeds and pocket pets, may be comforted by holding them in a towel. This will help to restrain them so they won’t hurt themselves or anyone else during care and transportation to the Dartmouth animal hospital. However, be careful not to wrap the pet too tightly in the towel so they won’t be hurt and will be able to breathe. If an obvious injury, such as a break or a cut is present, it can be helpful to stabilize your pet prior to transporting him to the local South Coast veterinarian by bandaging or splinting the injury. Transport in a pet carrier or other small area to reduce the risk of injury. Makeshift stretchers can be made for large pets, such as a blanket, board, sled or throw rug to help keep them immobilized and to ease movement from your home to the car. The first thing you should do is to keep your pet’s medical records in a safe place that you can access quickly in case of emergency treatment. When bringing your pet to visit the Dartmouth animal hospital where you have always gone for care this might not be necessary, but for a 24-hour animal hospital visit or clinic visit when out of town on vacation, your pet’s records can be crucial. Summertime brings bug bites, encounters with wildlife and allergies galore. Winter can call for special care when taking dogs out for walks on icy or snowy sidewalks and for extra bundling to keep warm. Speak with your South Coast veterinarian about other seasonal pet tips that can be used to keep your pets safe all year long. Pet owners should have a kit with basic first aid supplies for emergency situations. Some of the items that you should have include phone numbers for the Dartmouth animal hospital, animal poison control center and any 24-hour emergency clinic that your South Coast veterinarian recommends. You should also have non-stick bandages, gauze, towels and clean cloths to help protect wounds or stop bleeding. These items can also be used to create a makeshift muzzle to prevent anxiety issues in dogs or cats. Speak with your vet about other first aid items, such as activated charcoal to absorb poison, vomiting inducers, digital thermometers specifically for pets, styptic pen to control bleeding, as well as children’s Benadryl and the proper dosage by weight for bites, stings and allergies. When traveling with your pet – even for a short trip – it is important to prepare for any event. Seasonal pet tips should be considered depending on the time of year and your veterinarian at the Dartmouth animal hospital should be consulted for any specialty items based on your pet’s history and the area that you will be visiting. A travel size first aid kit is recommended and should include an anti-diarrhea medication, as recommended by your South Coast veterinarian. Emergency phone numbers, an ID tag with current contact information and travel information, collar, leash, muzzle and appropriate sized carrier should also be included to ensure your pet’s safety. If you have questions or concern about emergency vet care, first aid kits and travel or seasonal pet tips for your family pet, make sure to give Anchor Animal Hospital a call. Our veterinary team can help you with everything from basic first aid treatment advice to anxiety issues in dogs, travel suggestions and emergency care. 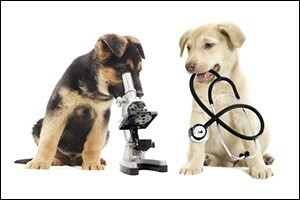 Give us a call at 508-996-3731 to speak with one of our veterinarians or team members today.